BJP is trying to influence public in general after recent defeats. The new “Sampark For Samarthan” programme, recently launched by Amit Shah to woo the voters and to go to all who matters with achievements of Modi government is taking a good shape. 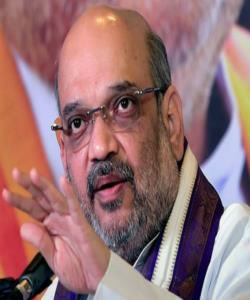 In the series of meetings Shah is also meeting of all allies in NDA. Some are not maintaining good rapport with BJP, one of these is Shiv Sena that has already dissociated them selves from NDA and contested state election separately, but in the center they are in the government. The mood of the Chief of Shiv Sena is however not supportive and there is fear in cadre of BJP that if they contest separately, chances of BJP will surely get affected. Sources say, recently Amit Shah visited office of SS to discuss and sort out problems, Devendra Fadnavis, Chief Minister, Maharashtra, accompanied him to Uddhav Thackeray place, but he was not allowed to participate in the deliberations. He was sitting out for two hours and sources say, the welcome was not very warm and after meeting also Shiv Sena had not soften their stand against BJP. Coming out from meeting, it was noticed that Shah, though not very satisfied, but has given an impression of good deliberations, along with other impression that he is ready with plan B to act if his mission fails to woo all allies?